We recommend $200, $250, or $300. It's up to you to determine the exact amount. Your dues in these amounts enable important investments in CNG's programs to improve the value of your certification. You may cover the recommended dues in smaller monthly installments using one of the Sustainer Dues plans below. CNG is powered by the grassroots, not corporate conglomerates. The bare minimum required to be considered paid is $150. Farmers may tap the Grassroots Fund for assistance covering dues if they're facing unusual hardship or just getting started. A superb way to support CNG, and cover your certification dues. Make one payment of $30 today, then future payments of $30 will be automatically charged from your card every month thereafter. Make one payment of $25 today, then future payments of $25 will be automatically charged from your card every month thereafter. A great way to support CNG, and cover your certification dues. Make one payment of $20 today, then future payments of $20 will be automatically charged from your card every month thereafter. A great way to cover your certification dues. Make one payment of $17 today, then future payments of $17 will be automatically charged from your card every month thereafter. CNG doesn't get public subsidies, but we have friends like you! 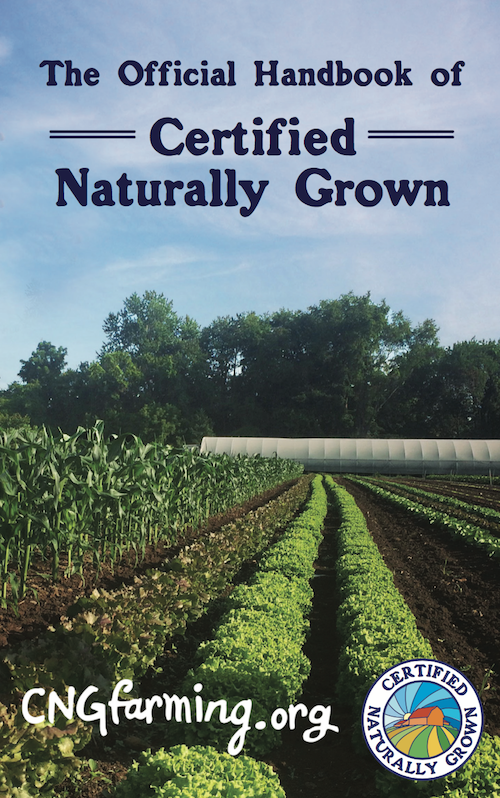 Contributions to the Grassroots Fund help keep dues low and support sustainable farmers. You may edit the amount in the box to the right. To enable CNG to invest in improving programs, expanding member services, and remaining engaged in policy issues that impact CNG farmers and sustainable agriculture. 3.75" x 7.5" glossy sticker. In production. Available to ship April 28th. 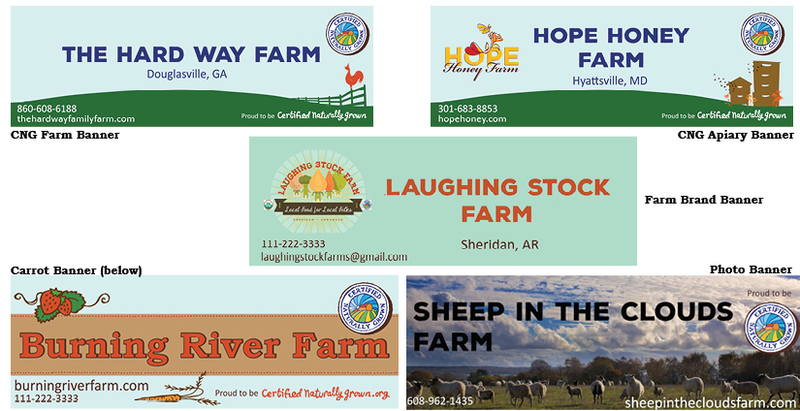 Volume discount: 10-24 bumper stickers for $1.20 each, or 25+ for $1 each. Discounts taken at register. Good question. Get people thinking. 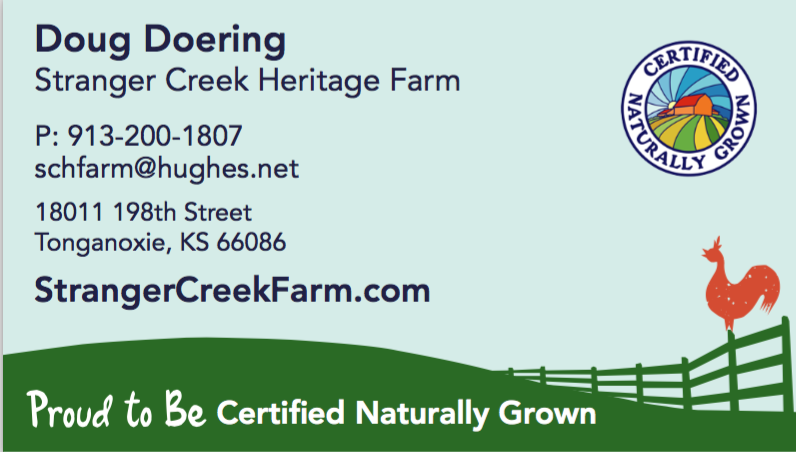 Proudly tag your travel mug, phone, or lunch box and support CNG farmers. Pack of 10 stickers, 2.5 inches diameter. Share with friends! Outlines the 3 steps to get certified and compares CNG vs. Organic. 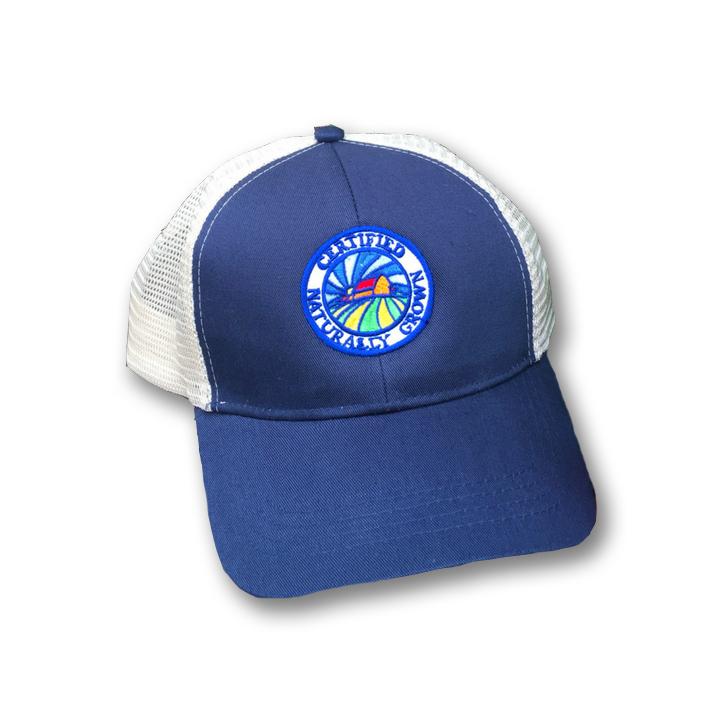 Get one for each farmer you know who might join our grassroots initiative. Read it here. 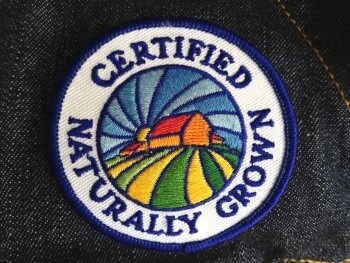 Explains what Certified Naturally Grown means, how it's different from organic, and how people can support this alternative label. Double-sided, both sides shown. 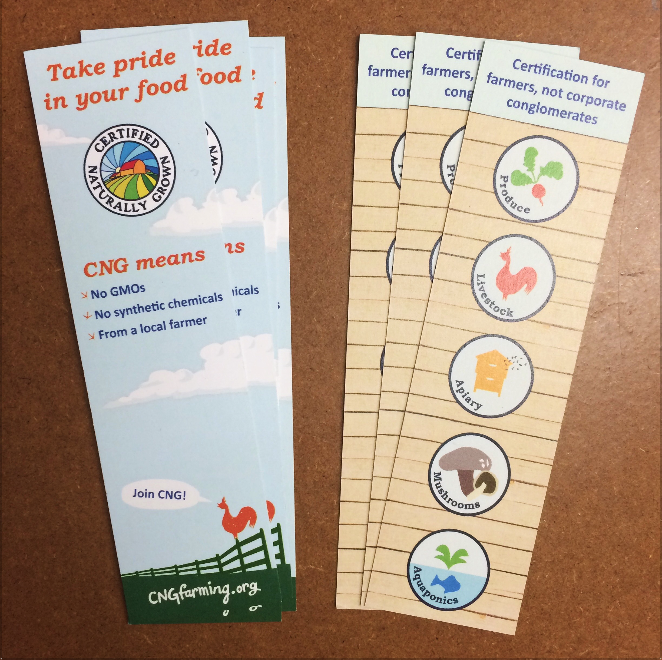 These cute items are useful bookmarks while reminding customers what it means to be CNG. Sixteen colorful pages present the information you need to maintain your CNG certification, and help you make the most of it. We will send a complimentary copy to members who join or renew for 2019, however we invite you to chip in a couple dollars to help cover the cost of this publication. 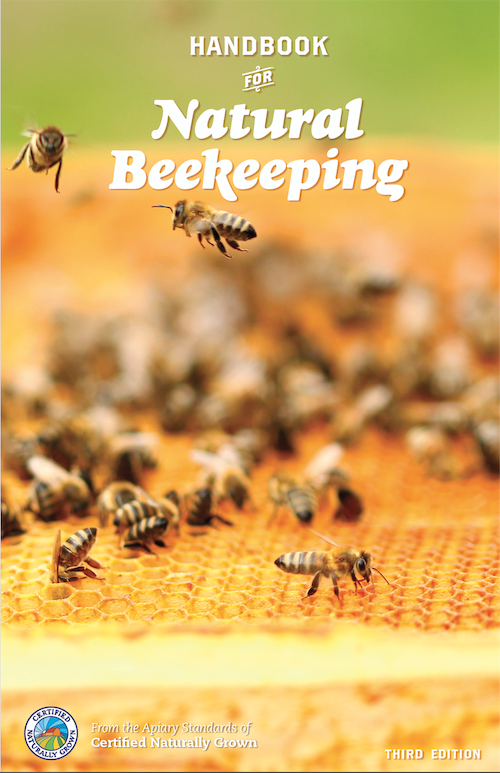 Includes updated standards, and list of allowed and prohibited substances for CNG beekeeping. 40 pages, 5.5" x 8.5" Look inside. Discounts for bulk orders. See below for 25 handbooks. For larger amounts, call 845 687 2058. 40 pages, 5.5" x 8.5"
Kindly pay by check if possible. We finally have CNG T-shirts! A third party provider will print shirts on-demand, according to your choice of color, size, shirt-type, and design. 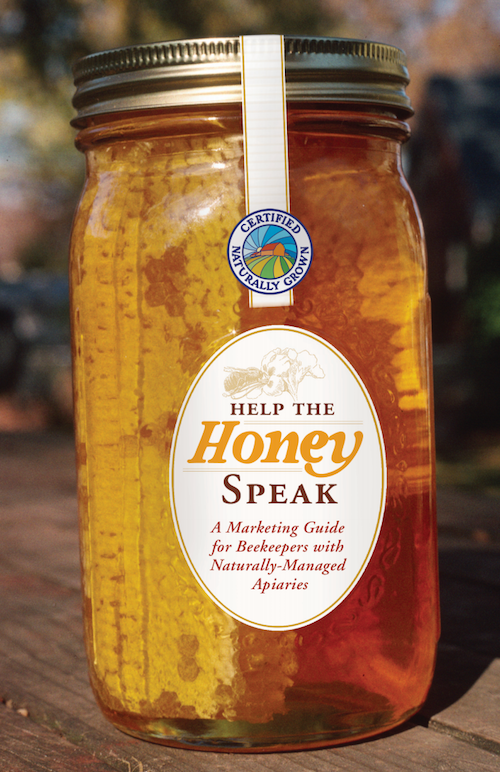 Aly created several designs which nicely convey the spirit of our farms and apiaries. Any design can be printed on a variety of T-shirt types - Men's, Women's, Child's, unisex, Organic Cotton, USA cotton, or USA cotton blend - and in a variety of colors. Prices range from $17 - $25, depending on the T-shirt type you choose. Click here to order CNG T-shirts on our partner's website. Organic cotton front and recycled polyester mesh back. Embroidered in Atlanta. Note: The $30 covers the design of the banner and results in a high-resolution file perfectly formatted for printing. You'll then pay your local print shop or an online service an additional $30-45 to print and ship the banner to you. 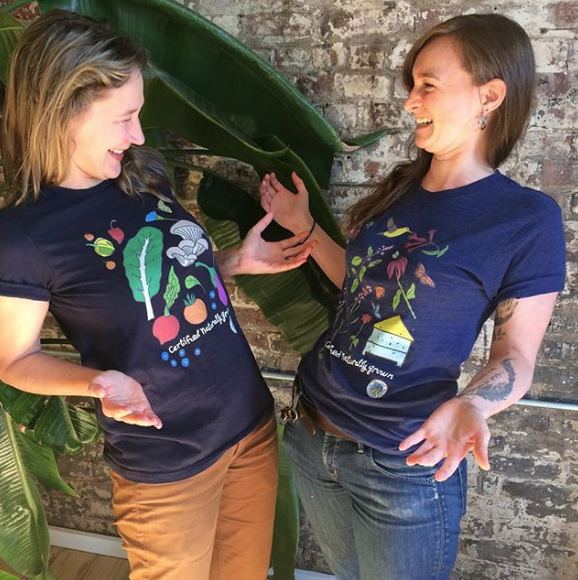 To get started, contact Aly at design@naturallygrown.org. Note: The $30 covers the card design and results in a high-resolution file perfectly formatted for printing. You'll then pay your local print shop or an online service to print and ship the cards to you. 2.5" Colorful Embroidered Patch. 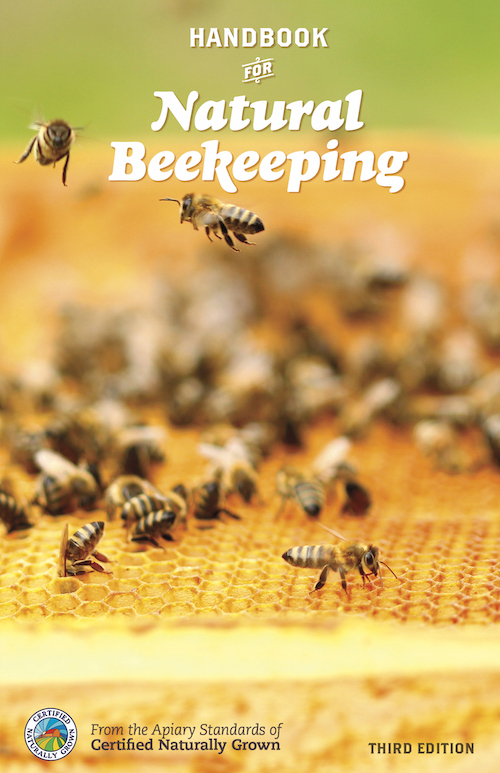 Can easily be sewn onto jackets, caps, bee suits or any clothing. 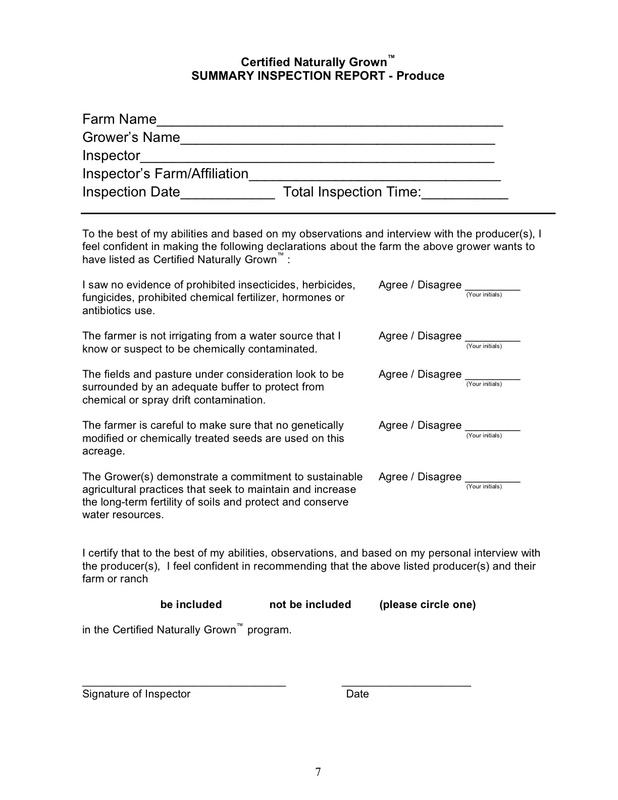 Printed Inspection Forms. Please indicate Produce, Livestock, Aquaponics, Mushrooms, or Apiary in checkout notes area. Additional cost of shipping materials to Canada. Shipping of Twist Ties is covered by separate, fixed-rate prices below.